Dunkin Donuts has launched a new breakfast sandwich that if you're lucky, will kill you quickly. The new permanent menu item is a twist on the classic bacon and eggs sandwich—only instead of a biscuit, you get a donut. But before you take a Lipitor and dig in, be forewarned that this is practically health food. Dunkin Donuts says the donut sandwich actually clocks in at a mere 360 calories. That's less than the 390-calorie turkey sausage sandwich introduced by the company earlier this year as a pseudo-healthyish option. 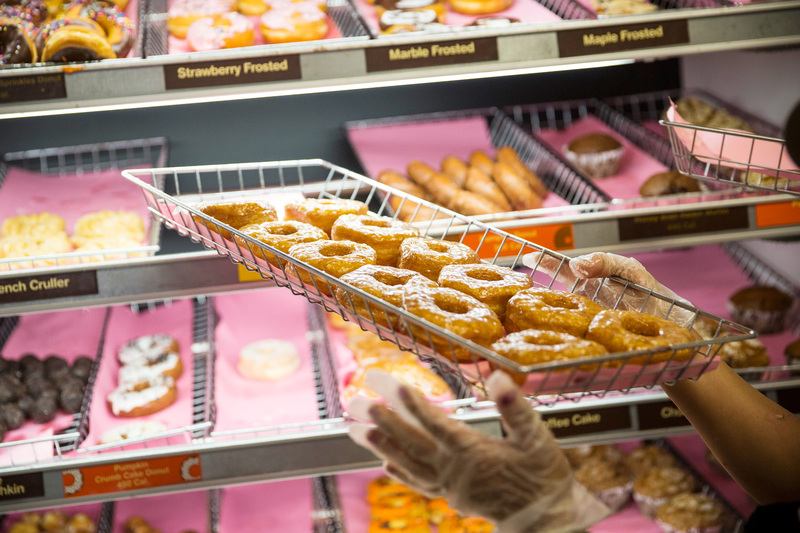 Stan Frankenthaler, executive chef and vice president of product innovation at Dunkin' Donuts (that's also a job) says you should be able to get the sandwich with any flavor donut, which is good news for us burgeoning chocolate-bacon lovers. Next up, toasted donut with lox.